Internet is a boundless and infinite retail center. 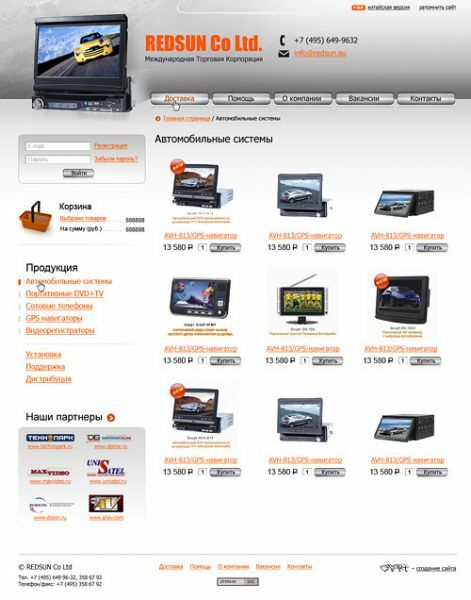 Any website can be turned into an automatic trade center, one has only to elaborate and install necessary software. However, to make an e-shop function correctly, it has to be constructed in a right way. A high quality self-contained trade center on Internet can replace a call-center, manager and administrator stuff and even a real trade center or shop. To perform all this an e-shop has to possess a wide functionality, be well-considered and convenient for a customer and an owner. 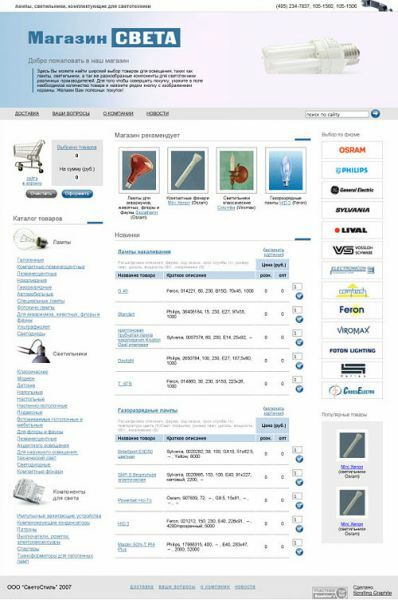 An e-shop is a complicated dynamically changeable system, grounded on database. A typical system of this kind looks like an enormous table with goods or services description, sometimes with a possibility to place a photo image. Such a type of an e-shop is not very efficient though. Visitors are not ready to leaf through tens of webpages searching for needed. Moreover, the majority of customers are not confident using Internet. That is why the whole process from ordering to purchasing has to be obvious and transparent. We offer E-shop service. Various goods and services, customers of different social position orientation demand various opportunities from an e-shop. Fundamental difference of our system lies in a possibility to regulate working elements of an e-shop at very the stage of creation. So, you will get a final product exactly with the qualities you require, even if your demands are very special. For instance, does any of your competitors possess a module to fix a video presentation of goods? Basic functions of our e-shop. Number of items is unlimited. Possibility to search a required item by several criteria, search results filtration. 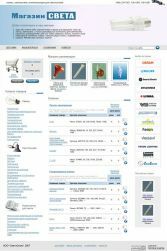 The system allows to customize various prices and discounts. You can establish a price in any currency – the system converts it in roubles independently. Shopping cart. A visitor can add goods to a shopping cart and make and order afterwards. SMS-alert. The system can be adjusted for alerting an owner about a made order by e-mail or sms. A special status can be assigned to an order made at a website. 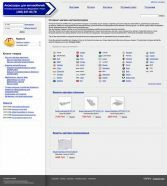 Payment reception with credit cards or e-money – WebMoney, Yandex Money. Personal customer account. The system keeps information of every visitor and memorizes a customer activity history. There is a possibility to download Excel batch files or synchronizing with 1C. The system keeps information of every visitor and memorizes a customer activity history. Bonuses: along process consultation, an instruction which is created for every particular website. Unique design, which is included into a total project price. All our products possess growth potential. 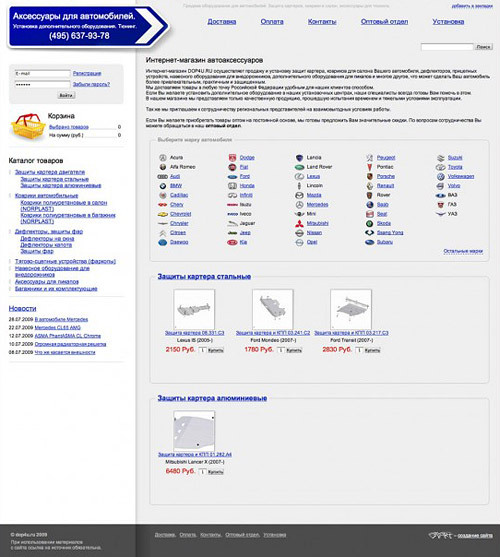 For instance, in future it will be possible to make an English version of a website or goods downloading module.